HOUSTON - A historian and photo archivist was honored this week for saving thousands of historic Houston images. 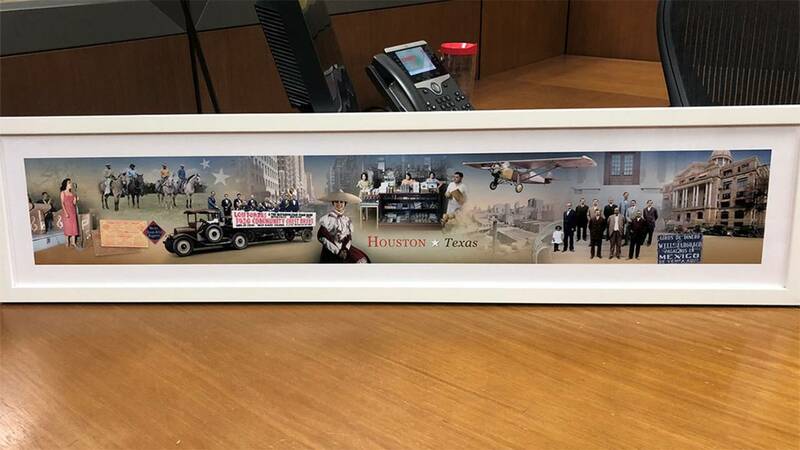 Six of Story Sloane's vintage photographs of Houston are featured in six new mural designs at various Wells Fargo branches around the area. The images capture the golden age of the 1920s and '30s. When Hurricane Harvey hit, Sloane nearly lost all the original images along with his entire photo collection. He was rescued by boat and was able to save 3,000 Houston photo archives and 10,000 of his personal photo archives. These photos were the one thing he decided to save when he was rescued from his house. Within a few days after the storm, Sloane received a phone call from Wells Fargo inquiring about his archived images for the next mural in Houston. 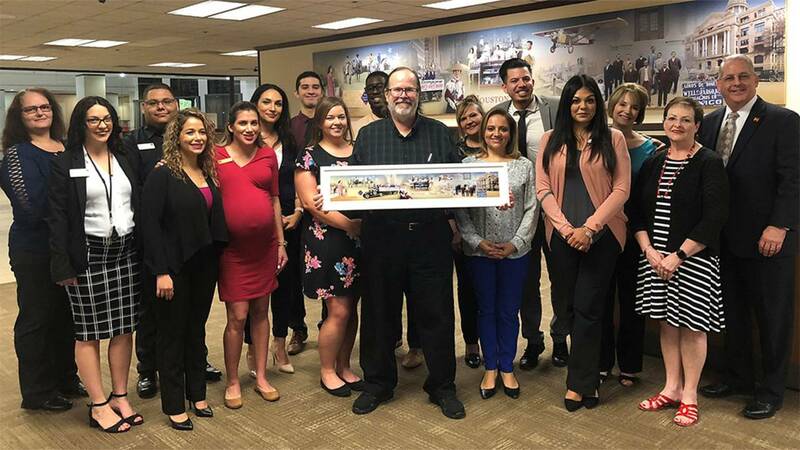 Wells Fargo Thursday presented Sloane with a replica of a mural that showcases five of his historic photos.